Fanny Lumsden & the Thrillseekers are thrilled to announce they are heading west in July to play a run of Country Halls through the Riverina. No stranger to the region, Fanny who grew up on a farm between Tallimba and Weethalle has made this unique touring style a bit of a tradition with year marking their third annual tour celebrating country halls. Fanny and her band the Thrillseekers will be bringing their toe tapping- thigh-slapping, quick-witted version of folk/americana to the small communities of Tooma, Rand, Jugiong, Weethalle and Grong Grong in late July for a series of fun filled nights of live music for the whole family! "So excited to be playing in the halls again - they are my favorite kind of venue and I love that the whole community comes out and has a fun night together. It's a privilege to play in these halls that have been the centre of their community for so many years and to be bringing live music to the bush is something pretty special," says Ms Lumsden. 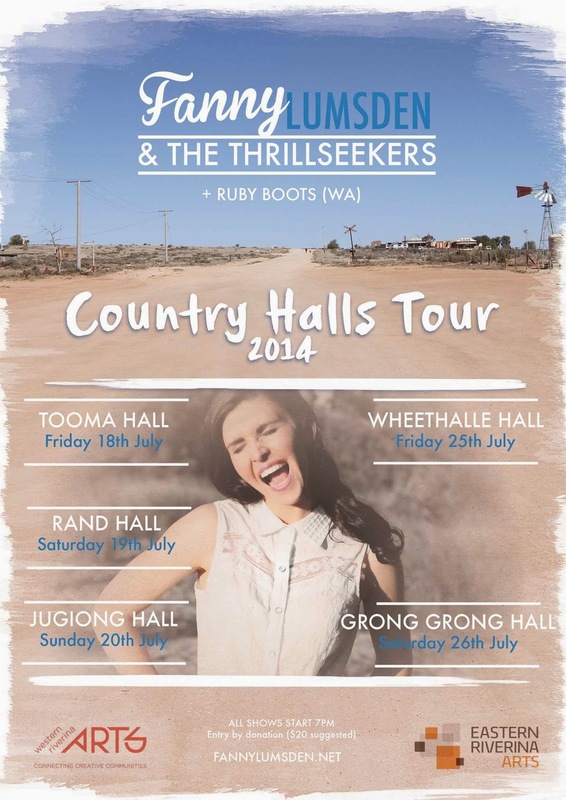 Western Australian lass Ruby Boots will be joining Fanny and the boys on this years tour through the Riverina. Having just dropped a brand new EP and returned from touring with The Waifs and playing a run of dates through Victoria and Western Australia Ruby Boots will be jumping on board the regional hall tour. Fanny will then be joining Ruby Boots for a run of dates through Western Australia at the beginning of August. Again this year there will be an opportunity for local musicians/performers/poets/dancers to get up and perform for their community. If you think you can play/sing/dance/recite send an email through to fanny.lumsden@gmail.com describing your act and a link to a video if you have one. The communities are getting behind their halls and putting on BBQs to fuel you up before the music gets going. Entry is by donation (with a suggested donation of $20pp). 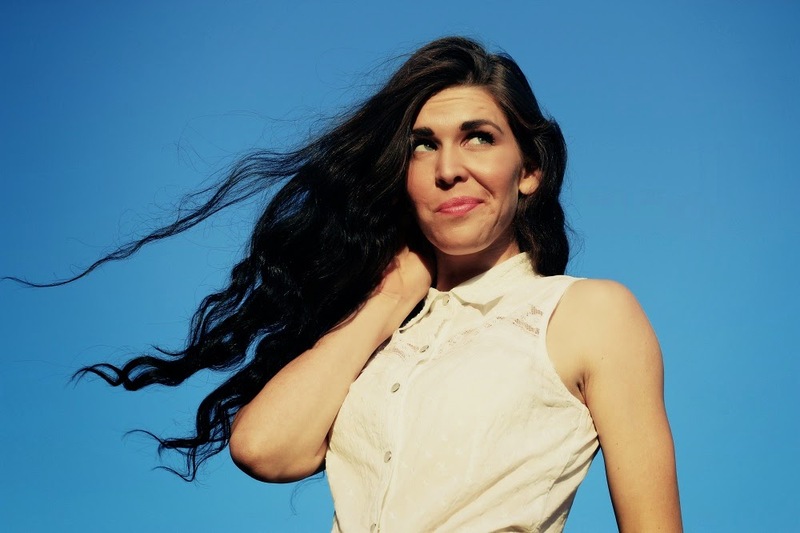 Ms Lumsden will host a workshop for local musicians from 5.30pm at Grong Grong on 26 July, where she will discuss songwriting, promotion and production.